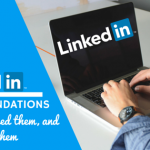 Now, when it comes to LinkedIn, there is no silver bullet that is going to make you stand out and gain tons of new leads and tons of new business opportunities with people flocking to you. However, what I’ve come to realize with LinkedIn is that there’s a lot of little things that you can do to be effective and it takes a bunch of these pieces to be put together to make you eventually stand out and to follow proper procedure. One of the things that’s often overlooked with LinkedIn profiles is very simple. It’s the headline. This is a thing right underneath your name on LinkedIn. Most times, I see crazy, boring, stupid things like marketing developer, sales professional, Vice President, or CEO. Obviously, you do a lot more than just that. Think about that. What’s going to jump out to folks? 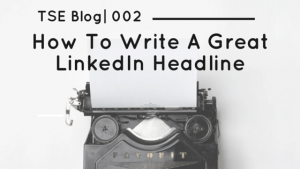 In two simple steps, I’ll tell you what you need to do to make sure your LinkedIn header stands out in the crowd. First, think about your ideal customer. So many times when we create a LinkedIn or any type of profile, we get selfish. We start thinking about ourselves. Well, news flash! The LinkedIn profile is not necessarily about you per se, it’s about the individuals that are going to come on looking for you. So whether that’s an employer, your prospect, potential vendors, or potential partners – who’s your LinkedIn profile geared towards? Or what different phase of your life that may be geared towards? Obviously, this is not something that’s going to be set in stone. You can change over time. So say, for instance, if you’re trying to find a job, the things I write on my LinkedIn header will be tailored towards new employers or what I do, my skill set that’s going to help me stand out. Or if I’m looking for new customers and trying to network on LinkedIn, my LinkedIn profile needs to be geared towards my customers. They need to be able to see, when they try to search for stuff, me pop up in there. So I need to think like them – what they want, what they are trying to look for, what they are trying to do. Think about things of that nature and you’ll be able become a little bit more successful with that LinkedIn profile. Step Two: What Do They Need Help With? 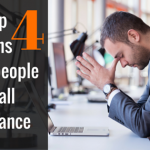 Second, think about what they need help with the most. Your ideal customer or this new employer or the one’s you’re just trying to build strategic alliances with. When people go searching, what are they going to be looking for and why are they going to be looking for that particular thing. Now that you understand that, that’s going to be your keyword. In this particular situation, I was able to add specific keywords that people may be searching for. If they’re searching for a speaker, a New York Times bestselling author, storyteller. Now, doing something like this makes you stand out a little bit more. You’re different. Remember you only have 120 characters so you have to make sure you balance that out. And the great thing about this is that you can change them anytime you want. You can try different things. See what works best. And the good thing is that you can tailor it according to your particular time. If you’re looking for a job or trying to find new clients, it’s important that you tailor it towards your client. So overall, listen again, its not about you. It’s about your clients. What are they looking for? What are the challenges that they face? 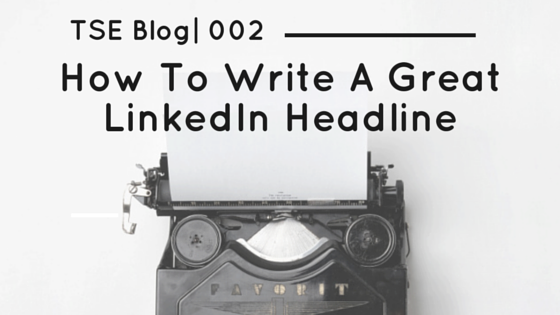 Use those as keywords in your headline and make sure it stands out. Be a little bit different. You can add some personality in there so that they can see that you’re a human being as well. You don’t have to be rigid every single time. So that is it. Go ahead and try it. Make sure you apply it. But most importantly, I want you to have success. I want you to go out and Do Big Things!